"After 10-15 years, when people would mention Singapore and California, they will also mention Amethi in the same breath," Rahul said. 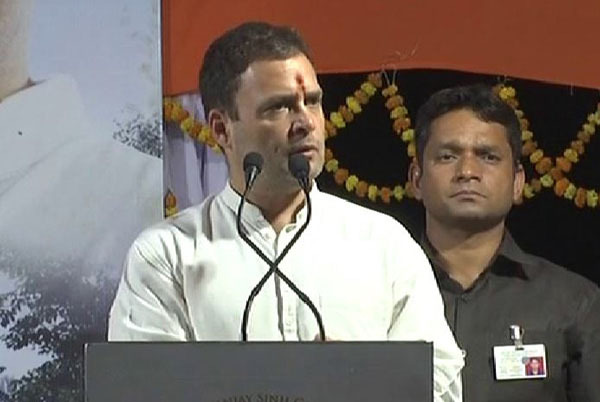 Amethi: Congress president Rahul Gandhi on Tuesday assured the people of Amethi that in 15 years the constituency will be as developed as Singapore and California. Addressing a gathering after inaugurating a school here in his parliamentary constituency, the Congress chief also accused the Centre and state government for halting the progress of the state by taking away the big projects. He further said Amethi will become world famous education hub soon and nobody can stop this from happening.